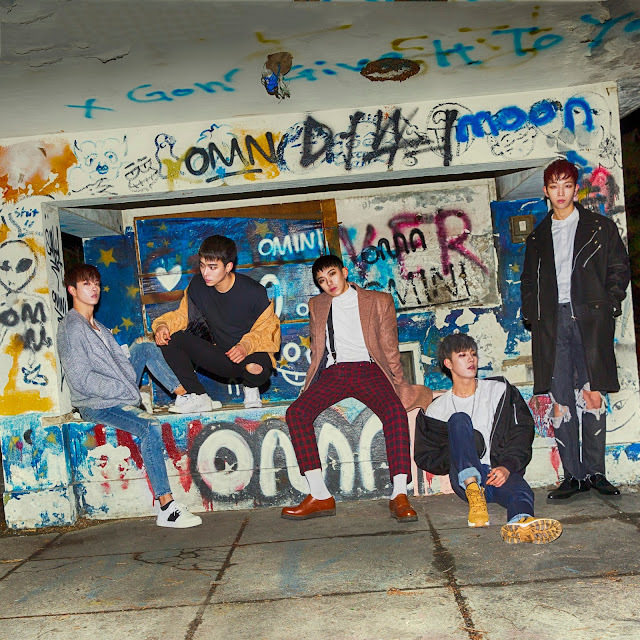 The King, upcoming boy group managed under Stallion Entertainment, have been quietly making waves through the K-pop scene ever since their official debut song called “Destiny”. 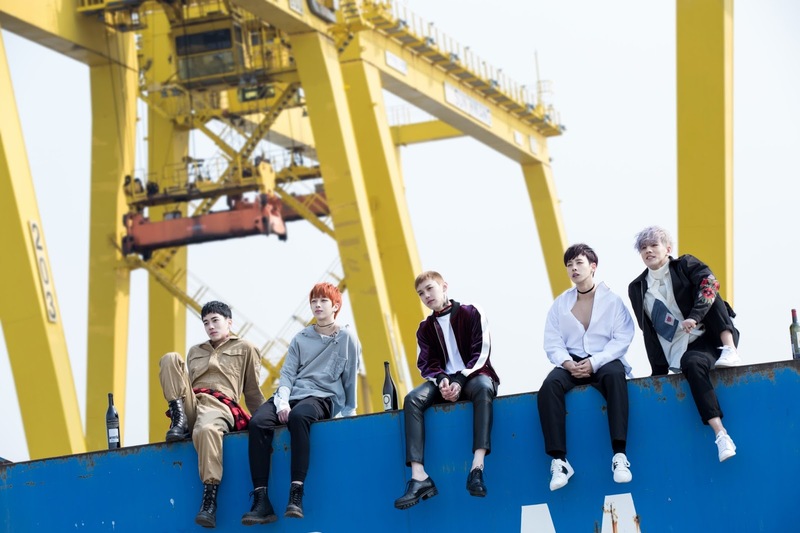 The group consists of five multi-talented members, Sejin, Donghyeok, Bawool, Choi Rang, and Seungjae. The boys have recently released their latest album titled “DAMN-OH TAPE” on January 13, 2017. Although they have yet to gain the k-pop mainstream popularity, they are working hard to pace their way up by holding various concert events and meeting their fans across Asia - including Korea, China, and Thailand. 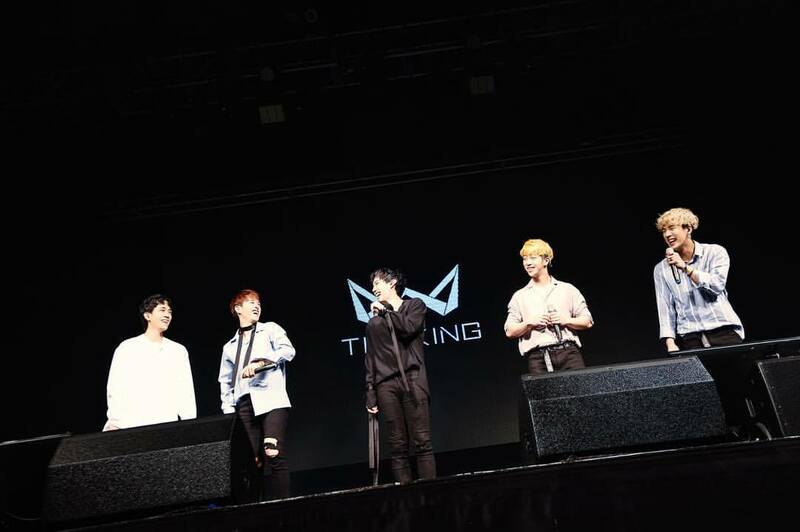 The King has garnered attention among the Malaysian fans, as they were the opening act for SungHoon’s Fan Meeting in KL back in 2017. Good news for us, the boys will be coming back to Malaysia for their full scale Get-Together Party Tour in April 27th until 1st May 2018! 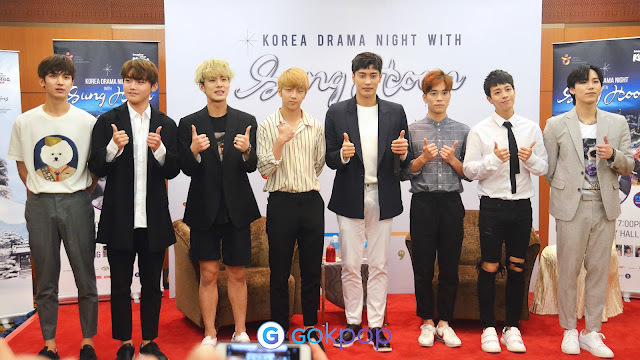 GoKpop Malaysia was given the opportunity to have an exclusive interview with The King. 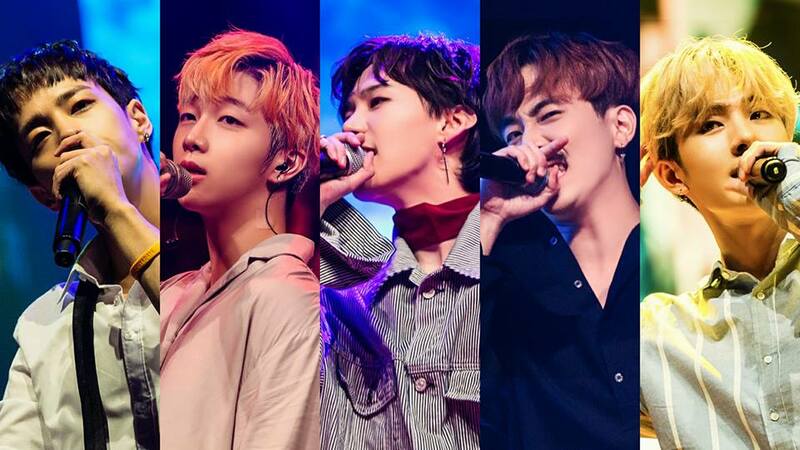 Without further ado, the boys shared some insight about their upcoming second visit in Malaysia, producing their own music, promoting overseas and their goals to be achieved in 2018. Q: Tell us what’s your feeling returning to Malaysia? What are you looking forward to do for your visit? Rang: During the time with Sunghoon’s Asia Tour, I thought I’d come back if I had a chance, it’s strange and I feel good that my wish has come true. Anyway, it seems like this time we will be able to get closer with our fans and communicate with them more compared to the time during the Asia Tour. I hope that we could be able to spend a quality time with the fans as we do not have many chances to meet up often. Bawool: Thank you so much for calling us to Malaysia for the second time. Last time the fans showed us a lot of good responses, so I’m expecting a good response and heated supports this time too. Donghyeok: I’d like to feel the same happiness when I was performing last time, and I’m expecting for delicious foods. Sejin: I had a really good memory during the first visit to Malaysia, so I always wanted to visit Malaysia again as soon as possible. I feel extremely happy and excited to be able to go again. 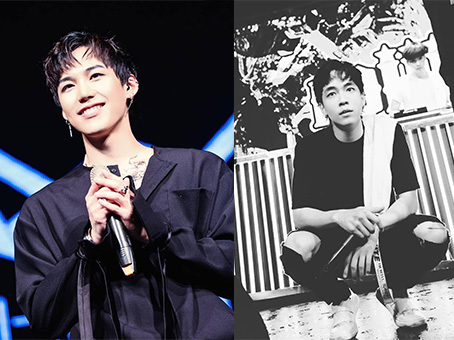 In order to show a better performance to our fans compared to the first visit, we’ve practised and prepared a lot, and I’ve searched for a lot of delicious foods as well. Q: We heard that there’s a member who previously stayed in Malaysia, what do you miss the most about Malaysia? The food? The people? Bawool: I’m ‘maknae’ (the youngest), Bawool. I came to study in Malaysia for a year. I clearly remember those places I’ve been to, and I’d like to go to the theme park in Genting, Langkawi Island, and the place where I’ve stayed before, Mont Kiara. Q: The members have been promoting in few countries such as China and Thailand, so did the members pick up the country’s language? Rang: I’ve had learned Chinese before. Basic communication for daily life should not be a problem but if someone who speaks too fast or the conversation is too deep, it is hard to understand. Still, before I go on the stage, I will prepare and memorize the words I want to say. Seungjae: We are always in a rush for schedules, so not really good in languages. Bawool: Basically, I ask people about what I want to say and memorize it a day before the show in China (but I can do well in ordering food). And, I speak English during the interview in Thailand, so there is no big difficulty. Donghyeok: I’ve had learned Chinese before, so listening should be fine and I don’t know Thai yet, even though I go there often and listen a lot. Sejin: In China, I’ve memorized a whole sheet of A4 paper full with Chinese for a week and went for an interview. However, I couldn’t really do well. I’m still at the level where I can only ask for WiFi and looking for toilet, as well as saying ‘we are handsome’. In Thailand, normally we speak English during our interview. Of course, normally Bawool and Seungjae are talking. Q: The King has released Chinese version of ‘Makes Me High’ and leader, Sejin has joined variety show in China. And so, will The King continue to release album in both Korean and also Chinese version? Rang: Personally, not only the Chinese version, if chances are given, no matter which countries or languages, we will do it if they request for it. Because it could be a good opportunity to meet everyone through variety shows or TV programmes. Seung Jae: Maybe, not sure yet. Bawool: If we have a chance to, I’d like to promote our album in many different countries. Please raise us up! Donghyeok: Why not, if we have a chance to release song in other languages? Sejin: I think it was really lucky to release the Chinese version of ‘Makes Me High’. We will do it when chances are given. It is a great luck if we can do it in Chinese as well as in other languages because it is important that lyrics are sent to the fans of each country. Q: We knew that Sejin is the leader and the producer as well. Anything that inspired you when producing album or composing the songs? 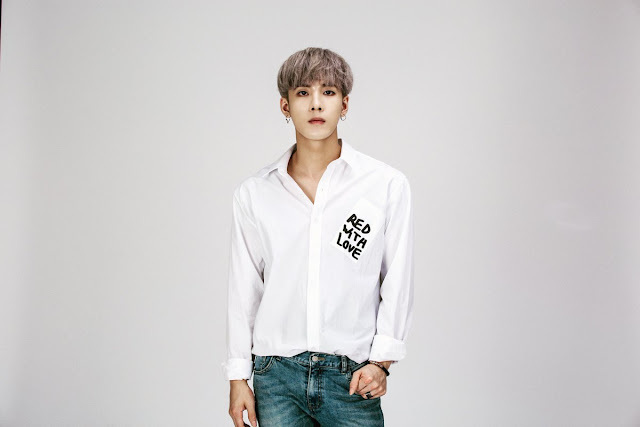 Can we expect yours and Choi Rang’s self-composed songs in the new album? Sejin: When I create a song or create an album, the emotions and thoughts of the time are gathered together to form a composite idea. It comes when I am on the plane, sometimes I write the lyrics and create songs when I can’t sleep at night, and I set a goal as ‘I must create this type of song!’ to motivate myself. In order to create good songs, Choi Rang and I have tried a lot, so I hope all of you always look forward to it. I am always feels reassured to make up for my deficiencies. Rang: I’m not sure when will it be or will it be The King’s song either my song, but I think someday the songs I’ve made will be showing to you all. Q: Any special performances that we can look forward to this promo tour? Rang: Normally, a lot of Malaysian fans send messages to us through the social media and leave a lot of comments as well. Since I know they are waiting for us and supporting us, I think I will be going with a better mood. We will prepare harder. Seungjae: We’ve been preparing so hard to perform as a group. Bawool: No comment. We’ve been preparing a lot, so I couldn’t tell you here. 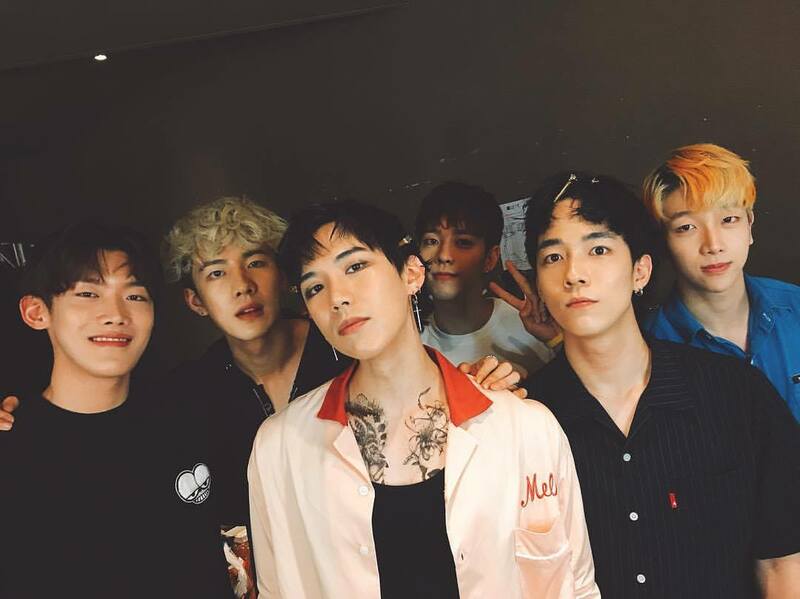 Donghyeok: We will show our cool and better looks to you all. Sejin: I hope through the performance we can get closer with the Malaysian fans. There’s a distance between Korea and Malaysia, finally, we can meet in a close distance so I’d like to share our good energy with a lot of fans. Q: What can we expect The King in 2018? Rang: I always look forward to seeing what happens every year. I always want to have more works! Hope to see everyone often. Seungjae: Maybe an album will be releasing… It could be, right? Bawool: I wish to hold concert, fan meeting and often meet up with the fans all around the world this year too. Donghyeok: I will work harder for our musical activity and broadcasting activity in 2018. Sejin: In 2018, we will try to show new and different aspects of each member in various ways and I would like to have more people in more countries than in 2017, so I ask for your greater love and support. If The King is going to release a new album, hope the fans are sharing the same heart with us. Rang: Hello, Malaysian fans. I feel happy to be able to meet up with you all again. I hope through this schedule, we can make a good memory which last long. I love you all. Seungjae: I love you all. We will show our best. Bawool: Thank you all for always love and remember us. We will prepare for a better performance, so please look forward to it. I love you all. Sejin: To all the precious Malaysian fans who love The King, we always thank you for your loves. I hope we can meet up often. I love you all. Donghyeok: Thank you all the Malaysian fans for always support and remember us. Hope you all will continue to show your support to us. 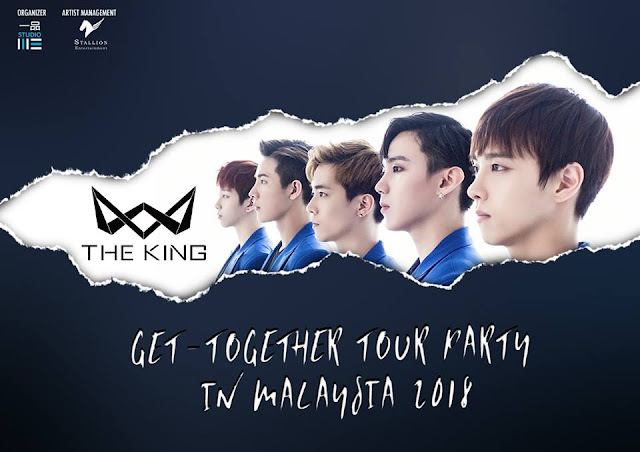 *Note: Get-Together Party Tour in Malaysia is free admission. For further information, you can check out Yipin Studio's Facebook Page below.